Booking a cruise, like any other holiday or flight, is going to cost you money and it’s safe to say if you can save money when booking a cruise, then it’s something worth considering. Cruising is one of the best vacation values out there, with your room, several free restaurant choices and oodles of daytime and evening entertainment included in the cruise fare. But that doesn’t mean the per-person ticket price is always cheap. 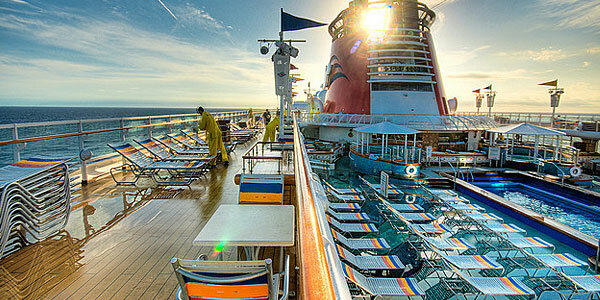 If you’re a bargain hunter, there’s always room to knock a few extra bucks off the cost of your cruise vacation. The money-saving truth is that the best prices often come with bookings made close to the sail date (anywhere from six to three weeks before departure). If you have the flexibility to make last-minute plans, you can almost always snag a great price by waiting; however, you will have to settle for whatever cabins are left. Great last-minute deals are especially easy to find if you choose to sail during a slower travel time or hurricane season in the Caribbean. Not only do the base fares start off lower, but the cruise line may continue to drop prices in order to fill the ship as sailing dates get closer. 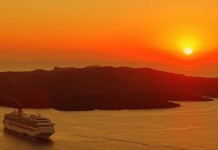 If you must have a balcony or suite (or another specific room configuration), or if you plan on cruising during peak seasons (usually late June to mid-August for most destinations and the Christmas/New Year’s holiday season), then you will want to book early to lock in the best price for the cabins you require. The cruise industry is awash in sales, but not all promotions result in big savings off your cruise fare. Short-term promotions (especially those closest to sail dates) can net decent savings, but beware of other sales that promise upwards of 50 percent off. In reality, the savings are based on the “brochure price” that no one actually pays or fares that were bumped up just before the sale. The best way to ensure a sale is on the up-and-up is to monitor cruise prices over a period of several weeks. If you know what the price has been averaging, you’ll know if the offer is any good or not. The best offers often come from sales that add value to your cruise experience through onboard credit, dining or beverage packages, or included gratuities. Email newsletters are the best medium for finding these deals, both those sent directly from the cruise line and those from travel agencies. Cruise Critic’s Price Drop tool highlights cruises discounted within the past week, and travelers can sign up for email alerts based on specific cruise criteria. You might be surprised by the number of U.S. cities you can cruise from. Ships sail from New York, Boston, Baltimore, Seattle, San Francisco, New Orleans, Los Angeles, Galveston and Houston, among others, on a seasonal or year-round basis. And don’t forget Florida, which has ships sailing from Fort Lauderdale, Miami, Tampa and Port Canaveral (near Orlando). Because so many cities have cruise ports, the vast majority of folks in the United States can drive less than five hours to get to a port, no flight needed. And without the cost of an air ticket, your cruise to regions like the Caribbean, the Bahamas, Bermuda, Mexico, Canada and New England, and Alaska suddenly gets a little bit less expensive. This savings tip doesn’t work for everyone, but if you’re someone who splurges on upper-tier suites on mainstream and premium cruise lines or who pays for specialty dining, drinks and other extras, you might actually be better served by switching to a luxury cruise line. 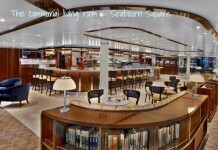 While base prices and cabin sizes for a suite tend to be similar, a luxury cruise will also include wine, some Internet, specialty restaurants and gratuities, among other items you’d pay extra for on a mainstream or premium line. Booking your next cruise onboard doesn’t necessarily save you money on the actual cost of your next sailing, but it usually provides some extra onboard spending money, as well as a reduction in the required deposit amount. Many cruise lines don’t require you to pick your actual sailing date and cruise ship; instead you purchase a future cruise credit, which can then be applied to your next booking and comes with anywhere from $25 to $100 (or more) in onboard credit, typically for use on that future sailing.